This interesting stitch is the Whipped Stem Stitch. It is the latest addition to my 100 Stitches Plus list. 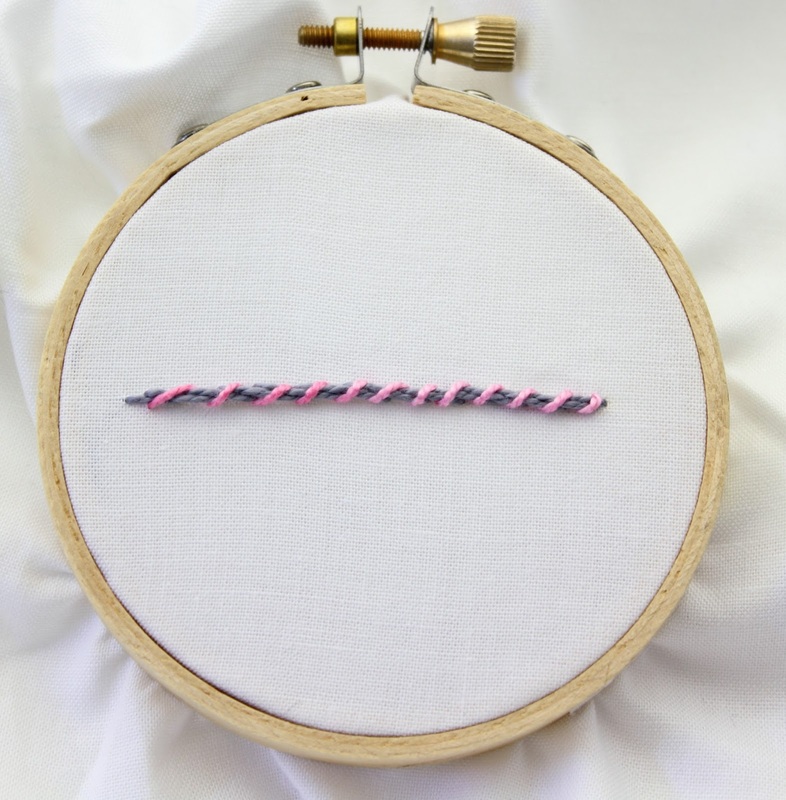 As the name suggests, this stitch is made up of a single line of Stem Stitch that is whipped. The whip is very effective when done with a contrasting color floss. This is a really simple way to embellish Stem Stitching. I think I will like using this on a lot of different projects. 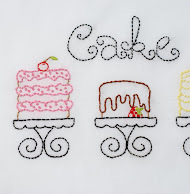 This stitch is from the book Embroidery Stitches by Mary Webb. What a pretty stitch! The colors you chose show it off so well. I love the texture of the stitch. 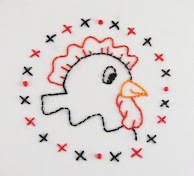 A very nicely done tutorial of this stitch and your photos are really well done. Thank you :) I am looking forward to using this one!